NEW YORK: Porter Novelli has lost its second global head of healthcare in as many years. 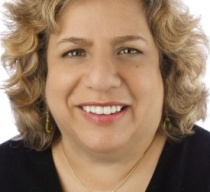 Susan Hayes has departed the Omnicom Group agency to join the Obama reelection campaign. NEW YORK: Porter Novelli has lost its second global head of healthcare in as many years. Susan Hayes has departed the Omnicom Group agency to join the Obama reelection campaign. Her most recent stint at Porter began in August 2010 when she rejoined the firm as partner. Hayes was named global head of healthcare in May 2011. She replaced Barbara DeBuono, who left after less than two years at the firm to lead Orbis International, a New York-based nonprofit. In addition to her global role, Hayes led the healthcare practice in the agency's New York office. A representative from Porter Novelli confirmed the exit, but did not comment on whether the firm has named an interim replacement to fill in for Hayes. Hayes previously ran her own firm, S. Hayes Consulting, and also worked at Cooney Waters and Ogilvy & Mather. Hayes did not respond to requests for comment about her exit. Porter holding company Omnicom reported Tuesday that its PR revenue was down 0.3% organically in the third quarter of 2012 to $313.8 million, compared with the previous year. Porter is also searching for a permanent chief executive to replace Gary Stockman, who left the agency at the end of July. Earlier this year, the Centers for Medicare and Medicaid Services selected Porter to launch a national multimedia education campaign to promote the Affordable Care Act. The contract is worth just less than $20 million.